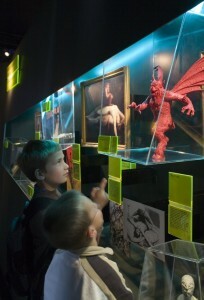 Visitors to the Science of Aliens exhibition. Considering the audience is the point of departure for Stephen on any project. Who are they? What are their experiences, motivations and expectations? What do we want to say to them? Stephen deploys some or all of these as necessary and would be delighted to discuss which techniques can be most usefully and practically applied on a given project. Stephen has led teams as well as joined projects slotting into existing team structures. He can also work as an external consultant, depending on the needs of the project. Over the last twenty years, Stephen has built up a network of talented individuals, agencies and companies that he can draw on to deliver projects of any size.